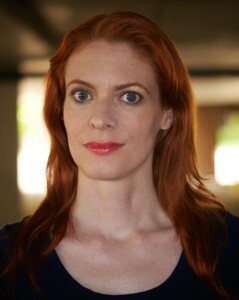 Anita Harkess has participated in Playwrights’ Platform readings since late 2016, and appeared as Jennifer in Wrong Place, Right Time in the Playwrights’ Platform 45th Festival of New Plays (2017). Since moving from Denver to the Boston area in 2015, Anita has played the Player King in Hamlet (Salem Theatre Company), Celia in As You Like It (Merely Players), and Dr. Martha Livingstone in Agnes of God (Theatre@First’s Bare Bones Staged Reading Series). She has also given tours for the Freedom Trail Foundation as loyalist newspaper editor Margaret Draper and convicted witch Goody Glover. Anita is beginning to study film, as well, and has appeared as a background extra in Ghostbusters (2016 reboot), Central Intelligence, and Live By Night so far. Before making her move to Boston, she appeared in a wide variety of stage, improv, and interactive theater shows around the Denver area. Anita has studied acting at Shakespeare & Company in Lenox, at American Conservatory Theatre in San Francisco, at the Denver Center Theater Academy, and in classes through Boston Casting and C.P. Casting. She holds a B.A. in English from the University of Colorado, and in addition to acting, she is an editor and a writer of marketing copy, nonfiction, and fiction.